It is part of a 5 book mystery series (The Cliff Fulton Mysteries). Keep watching as each new book reveals another clue to the final mystery! It started from a very real, life threatening, situation: my father was found with cancer. This does not run in our family. It was completely out of the ordinary. Through research into the cause, I discovered that 50% of all cancer could be proven to be a virus. The researchers believed in the next decade all would be shown to be virus caused. This terrified me. Here we were fighting cancer and treating it as a genetic disorder when all the time it needed to be dealt with like a flu. The United States has chosen to make the cancer fighting rules very strict. The only acceptable methods of fighting cancer were radiation, surgery, and chemotherapy. While this made the medical community and drug companies boom with money, $12,000 or more for a chemo shot, the majority of the people involved were paying for it with their lives both in suffering and death. It was then I discovered that in 1950's a lady named Johanna Budwig, a biochemist, had discovered a way for the body to fight off the virus cancer. She proved this time and again, despite being persecuted by the medical community and banded from nations because she would not sell her idea. She wanted to give it away. This brought about the concept of 'Without A Conscious...'. What if three people wanted revenge on the United States for stepping into WWII? What if they decided to destroy the U.S and make the people suffer from the inside out? What better way to make them suffer than with cancer? 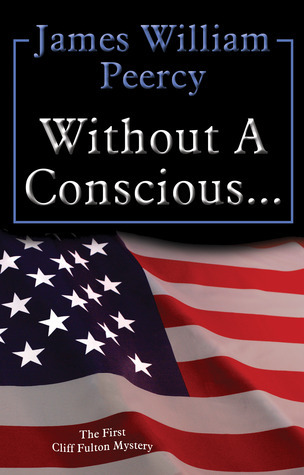 'Without A Conscious...' is a murder mystery, a fictional story, yet with a very real truth. The world is dying from cancer, and the solution has been staring at us all along. Read it and review it! I'd love to know what you think! And when you are done, please check out Johanna Budwig. It could save your life! Sign into Goodreads to see if any of your friends have read Without a Conscious.